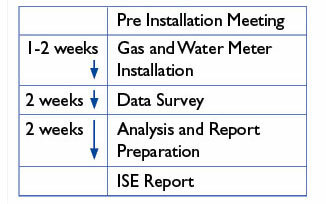 Contact Miura sales or your Miura rep today to ask about and schedule an In-Service Efficiency Study today. 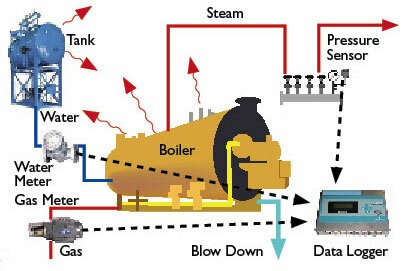 HOW GREEN IS YOUR STEAM BOILER? 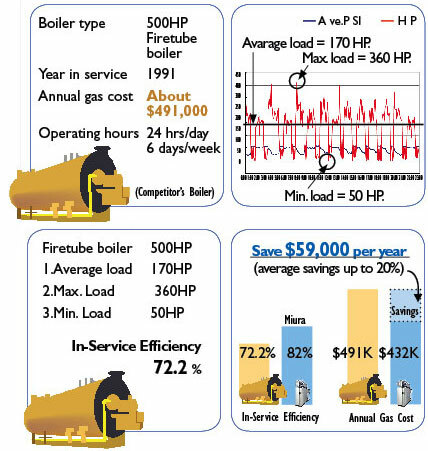 How Efficient is Your Current Boiler? Are You Spending Too Much For Energy? Are You Wasting Precious Resources? Are You Shortening Current Boiler Life? How Much Money Can Miura Save You? Customers pay the gas and water meter installation fee. Many cost sharing programs are available to support and encourage “benchmarking” existing energy efficiency. Please contact a Miura representative for more information on available programs that might be applicable.